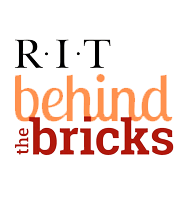 Finance and Administration employees create and deliver innovative and cost-effective solutions to the RIT community through the responsible stewardship of the university’s human, financial, physical, information, and technology resources. We transform the experiences of those who depend on our services. Create a culture of exceptional customer service. Deliver innovative solutions that benefit our stakeholders. Attract and retain the best workforce. Ensure fiscal accountability and stewardship of university resources. Click to download Our Tiger Senses.